There are a variety of elevator or escalator accidents that affect hotel guests and other invited patrons. These include sudden stops, failures to open, abrupt landings, power failures, floor shifting, and elevator lurching. All of these types of elevator malfunctions can be attributed to a specific cause once investigated. Repairmen have inadvertently shut off safety switches while doing maintenance on elevators. If they call the elevator while it's "out of service" the elevator will follow commands. Thus, a repairman working on a higher floor can summon the elevator to test the performance. It is imperative that the elevator be taken out of commission to do maintenance given the high risk of movement during repairs. Other problems include failing elevator sensors, and bucket failure. Back-legging product or product discharging too late/early, loose or broken bolts, broken buckets, excessive wear, product sticking, etc. More common symptoms of a system error is the door contacts, interlock contacts and door operator errors. As components wear and age, they more readily go out of adjustment, shut down the system, and/or or interfere with its operation. Las Vegas Elevator accidents are under the wing of premises liability law. Negligence and Strict Products liability are the common causes of action against a hotel or more commonly, the manufacturer who typical builds and maintains the elevators. We have represented many victims of elevator malfunction and are the premiere Nevada Elevator Attorneys. Elevators are not supposed to stop abruptly. 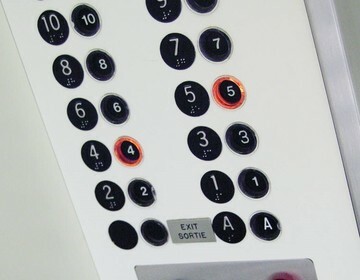 The electronics and computer programs can cause sudden elevator stops. Programming of the elevator should avoid sudden stops, but electrical failure and timing issues can cause sudden stops. Passenger injury, including back injuries, and injuries common with falls are likely to happen. If you have suffered an elevator injury due to a sudden stop call our elevator malfunction lawyers today for a free consultation. Failures to open the elevator doors are a scary event, especially if the temperature in the elevator compartment is warm and elderly persons are on board. Persons with claustrophobia and persons with anxiety disorders are susceptible to door failures. Highly occupied passenger elevators can cause claustrophobia in those persons who don't normally get sickened by close spaces. The need to escape can lead to panic attacks as the close quarters translates to the brain into being trapped. Failures of the open sensors to recognize hands or legs may cause a door close pinching hands, or worse, arms. Failing to properly open can lead to limb loss, and crushed bones. Malfunctioning door operators are the cause and special attention needs to be made to the lading door locks and interlocks. 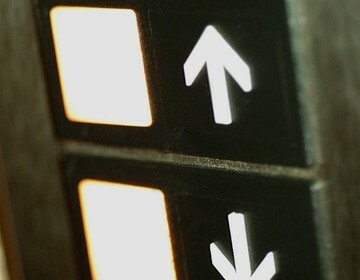 Normally, these elevator accidents do not cause major injuries to passengers, but the experience, depending on the severity and duration of time in the elevator can present a potential lawsuit for damages. Call our Nevada elevator attorneys today. Most hotels have back up generators for emergency power in the event of a power failure. Typically power failures do not increase the risk of harm to the elevator passengers, except for a temporary delay. However, elevator power failures that lead to sudden and abrupt stops. Elevator floor shifting and elevator lurching are the most dangerous of elevator events given the unrestrained passengers. Handrails are not always in elevator compartments, and even if they were, it may only give a person a false sense of protection from the shifting elevator. Nevada elevator accident attorneys rarely deal with elevator fatalities given injuries occur much more frequently then death. The death of a person on an elevator usually points to an issue with the elevator or the negligence of a repairman. Crush injuries are usually to blame in these types of elevator accidents. If someone close to you has passed away from what you understand is an elevator accident, call us today for a free investigation of the accident.